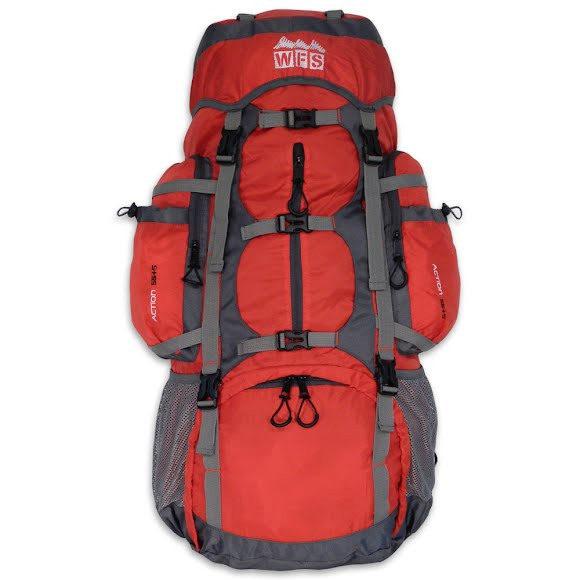 Measurements 34" x 18" x 14"
I ordered the WFS "Glacier" 60 liters backpack in September and it took a month to get it since I reside in France. I have not used this backpack yet but, after careful examination, here is my review: Pros: - Made with quality material - Pockets are perfect (mess, zipped and bungee). That was what I looked for - The zipped pockets on the hip belt are really useful Cons: - Dual main entry compartment? Well,what I consider being the sleeping bag bottom pocket is very small and will fit only a small sleeping bag. I will use it for something else.I wish there was a main compartment that could be partitioned - Top straps: I think that straps with buckles would be better. Overall, it is a nice backpack worth the purchase.